Sleepover anyone!! 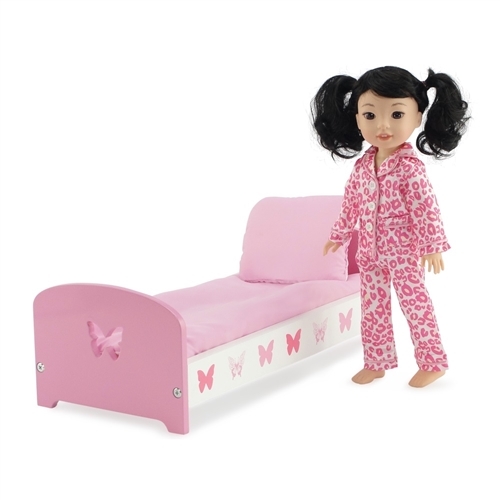 Your 14" doll will sleep like a dream in this lovely 3 piece soft PJ set. Perfect for a sleepover at Grandma's house, or a pajama party with friends, this pretty doll pajama set includes a satiny long sleeved top with fun pink leopard print and matching silky bottoms. The PJ top has our special "no grab" Velcro closure, making getting dressed a snap! 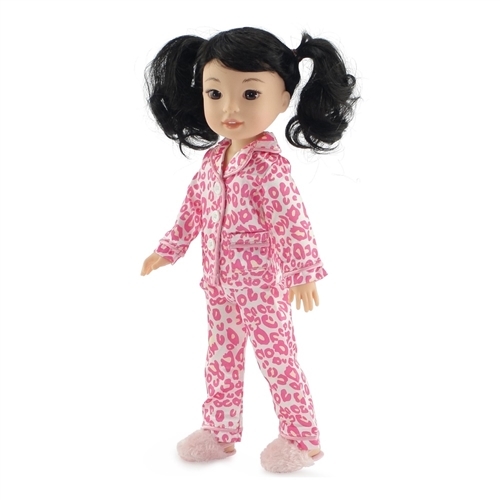 This doll outfit comes with a cute pair of soft and fuzzy pink slippers with elastic band to help them stay put. 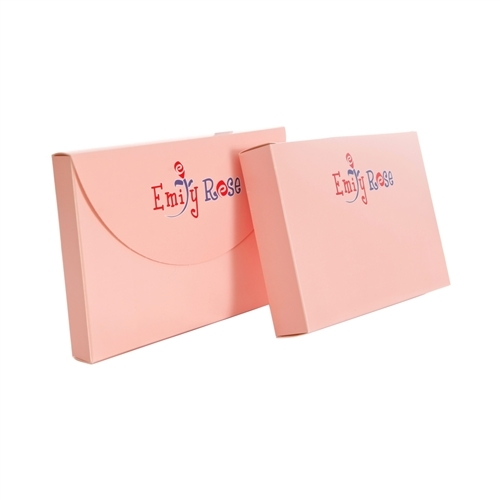 This lovely doll PJ outfit comes packaged in our special pink Emily Rose gift box and is perfect for your 14 inch doll's next overnight party. Gorgeous pink satin 2 piece leopard print pajamas, with elastic waist PJ pants for easy dressing. Includes a soft, fuzzy pair of pink slippers! Doll clothing made to fit 14-inch dolls such as American Girl Wellie Wishers ®, Hearts For Hearts Girls, Glitter Girls and other similarly sized dolls.